Dr. James Salz and the staff at James J Salz are ready to help you with all your ophthalmologic needs. We provide a safe, comfortable space to optimize your eye health. As ophthalmology experts, we diagnose and treat many eye diseases, perform surgery and advise on the management and care of all vision health issues. Many people choose laser-assisted in situ keratomileusis (LASIK) or photorefractive keratectomy (PRK) as a way to opt out of wearing glasses or contact lenses or to reduce their daily dependency on them. Both types of laser surgeries can treat farsightedness, nearsightedness and astigmatism by reshaping the cornea. If you long to discard your glasses, schedule an appointment with Dr. Salz to see if you are a good candidate for LASIK or PRK. Regular glaucoma testing is important because catching the disease early helps prevent or slow vision loss. At James J Salz, we lower and monitor the intraocular pressure that makes glaucoma worsen. Depending on your individual situation, we may prescribe medicated eye drops, medications such as beta blockers, surgery, laser treatments or other therapies. At James J Salz, we realize that our patients with diabetes face their own special set of eye health issues. These include increased risk for cataracts and glaucoma as well as diabetic retinopathy, a condition in which the blood vessels in the retina are damaged, drastically reducing vision and often leading to blindness. If caught in the early stages, treatment and follow-up care for diabetic retinopathy go a long way in preserving your vision. Because of this, we recommend more frequent eye exams for our diabetic patients. In the back of your eye, the retina and vitreous can be affected by macular degeneration, macular holes, retinal tears or detachments, floats, flashes, eye cancer and other conditions. Dr. Salz uses advanced training to diagnose and treat these varied and complicated vitreoretinal disorders. Many people’s eyes produce insufficient lubrication, leaving them feeling dry and uncomfortable. If your eyes burn or sting, come see us so we can help you feel more comfortable. At James J Salz, we can identify the causes of your dry eye and make a treatment plan to ease the condition. This could include eye drops and lifestyle changes. 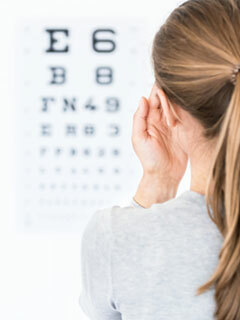 If you are suffering from vision health problems or simply have a question, contact our office today at 310-444-1134. We are happy to help!